Professor Millán received her Ph.D. in American Culture from the University of Michigan. 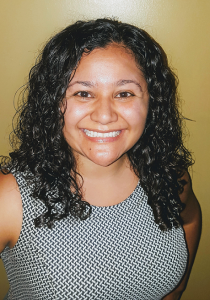 Her publications include articles in Signs: Journal of Women in Culture and Society and Aztlán: A Journal of Chicano Studies. She is currently completing her book manuscript on queer and bilingual children's literature titled Divergent Children's Literatures: Childnormativity and Queer of Color Counternarratives. “Autofantasías: Reinventing Self & Inspiring Travesuras in Children’s Cultural Productions.” In El Mundo Zurdo 6, Conference Proceedings, edited by Sara A. Ramírez, Larissa M. Mercado-López, and Sonia Saldívar-Hull, 27-44. San Francisco: Aunt Lute Books, 2018. “‘¡Vámonos! Let’s Go!’: Latina/o Children’s Television.” In The Routledge Companion to Latina/o Popular Culture, edited by Frederick Luis Aldama, 44-58. New York: Routledge, 2016. “Anya Sofía (Araña) Corazón: The Inner Webbings and Mexi-Ricanization of Spider-girl.” In Graphic Borders: Latino Comic Books Past, Present, and Future, edited by Frederick Luis Aldama and Christopher González, 203-223. Austin: University of Texas Press, 2016. “Engineering Afro-Latina and Mexican Immigrant Heroines: Biopolitics in Borderlands Speculative Literature and Film.” Aztlán: A Journal of Chicano Studies 40, no. 2 (Fall 2015): 167-185. Reprinted in Altermundos: Latin@ Speculative Literature, Film, and Popular Culture, edited by Cathryn Josefina Merla-Watson and B.V. Olguin, 279-297. Seattle: University of Washington Press, 2017. “Contested Children's Literature: Que(e)ries into Chicana and Central American Autofantasías.” Signs: Journal of Women in Culture and Society 41, no. 1 (Autumn 2015): 199-224. WGS 350. 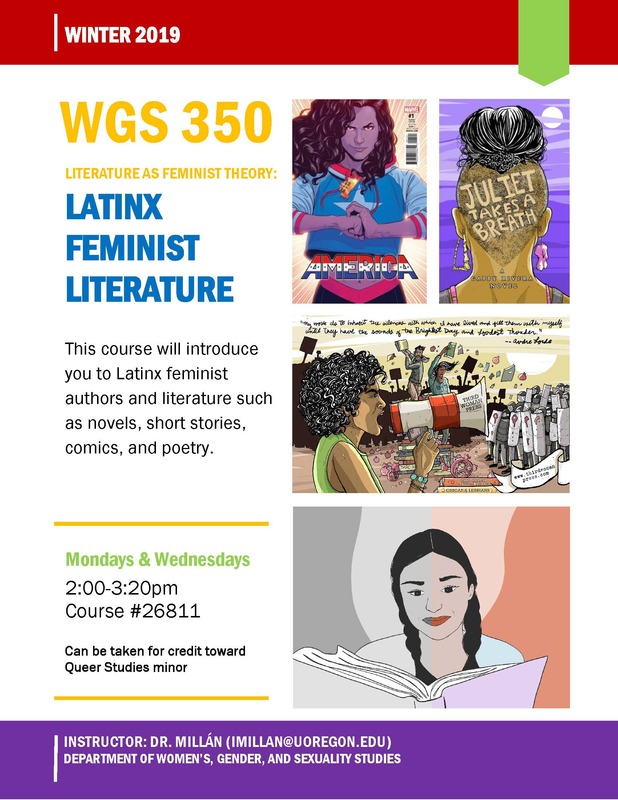 Literature as Feminist Theory - Topic: "Latinx Feminist Literature"
WGS 250. Gender, Literature, and Culture - Topic: "Transborder Children's Literature"
WGS 450/550. Literature and Feminist Worldmaking - Topic: "QTPOC Literature"